If a picture is worth a thousand words, let the images tell the story. Here is an introduction: This is probably one of the rarest and last remaining DUKWs in such pristine condition. Incredibly nice looking AND running DUKW, drives well on land and operates just as nicely in the water. it always starts right up without hesitation. The engine runs quiet & strong. 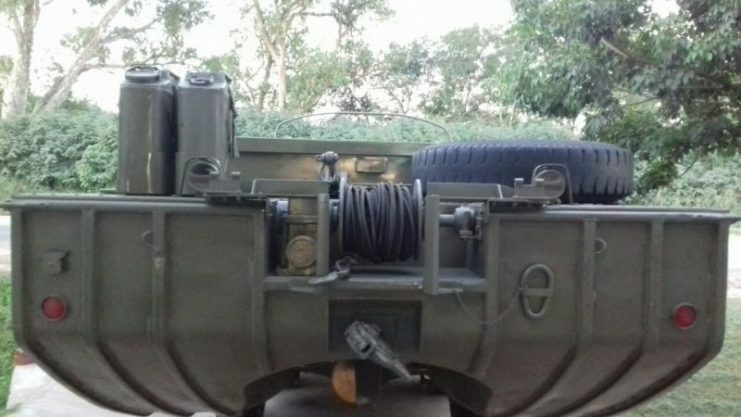 Very original WWII DUKW complete with tools and every possible attention to detail. Years of painstakinly devotion and dedication locating accesories or original parts to complement it. Incredible amounts of hours went into it to restore it. 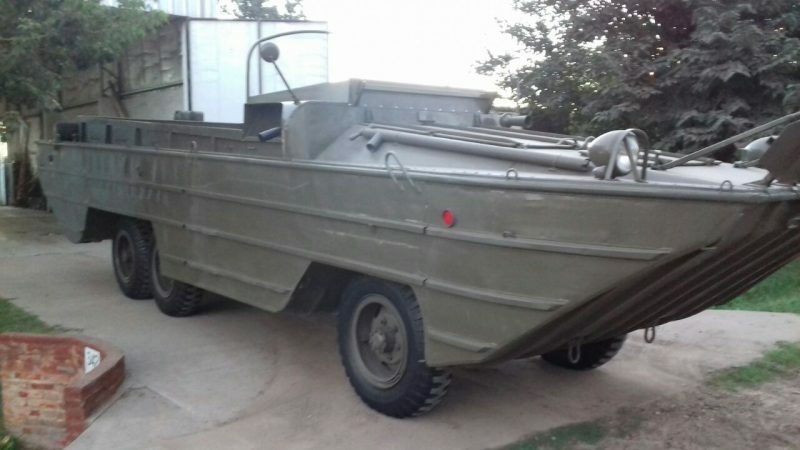 It started as an incredibly nice original DUKW that had seen very little use and was kept inside and over the course of several years one very passionate and dedicated individual devoted his time to bring it back to full operation and looks. It is one of the nicest and cleanest Dukw’s to be found anywhere in the world and it must be seen in person to truly appreciate the amount of passion that went into it to return it to former glory. Lot’s of spare parts to keep it running and looking nice. This vehicle never saw any commercial use. I can assist with transportation to almost any country in the world. Price is not even close to what went into it, but it is time to move on to onother project. 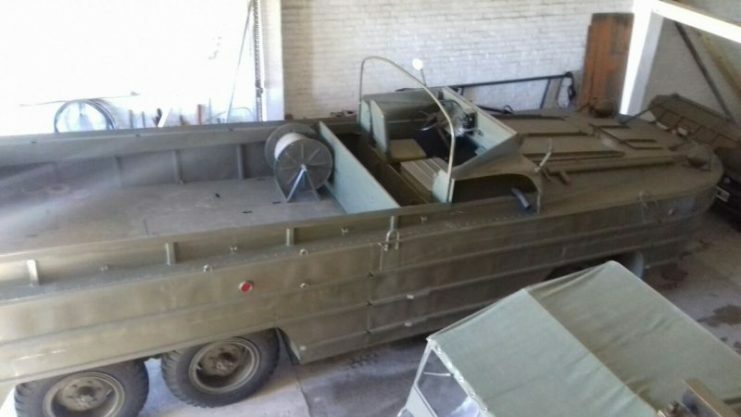 A rare chance for another dukw lover to save years of work and get to truly enjoy this amazing amphibious vehicle. Privately owned. The GMC DUKW – 353 was developed in 1942 in accordance with a directive by the Commanding General, Services of Supply. The directive called for a vehicle that could transport personnel and supplies from ships to beaches without the benefit of prepared harbors and docks. 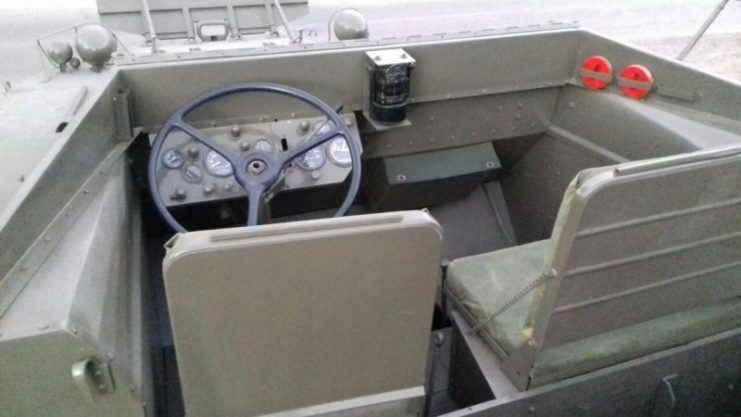 The average GI simply referred to the vehicle as the “Duck.” The pilot model was so successful that it was immediately put into production after testing. On land the DUKW used its normal six-wheel drive, but in the water, it was propelled by a propeller and steered by a rudder. The wheels and propeller could operate together for smoothly entering and exiting water. DUKWs participated in all major US amphibious operations from March 1943 until the end of World War II. The cargo compartment could accommodate 25 troops and their equipment or 5,000 pounds of supplies. Lend- Lease DUKWs were also provided to the British and Soviets. Over 21,000 DUKWs had been manufactured by late 1945.